Are you having problems with your Acura or Honda DVD navigation system? When you drive, do you sometimes see a message that says, “DVD disc reading error“? 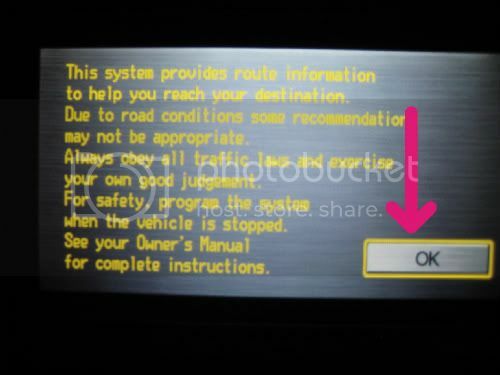 When you start the car, is the “OK” button missing so that you can’t start the navigation system? If you said yes to either, then your DVD navigation system needs to be fixed, and this repair procedure is for you. I actually experienced both these errors on our 2006 Accord EX with navigation. The key is to not get frustrated and to systematically eliminate possible issues until the root cause is found. First, locate the DVD drive (for the Pilot it’s under the passenger seat, in the Accord it’s mounted in the center of the trunk area). Is the system getting power when the key is in the “on” position? Ours was, so then I ejected the disc to see what else I could find. The drive seemed to be working fine, but the disc had faint swirling scratches on it. I used some alcohol to clean the disc but after another day or two, the error had returned so a dirty disc was not the culprit.